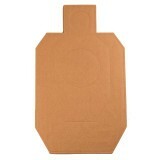 These official USPSA targets are sanctioned by the United States Practical Shooting Association. Regulation sized at 18 inches x 30 inches, these are perfect if you're training for competition, hosting a match or just want to get some trigger time in at your local shooting spot. 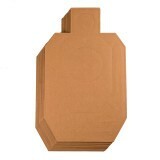 The targets are made from corrugated board and have a silhouette shape. They are excellent for both casual shooters and elite competitors. Target shooting is one of the most engaging and rewarding sports in the world. If you are involved in this activity, you need to have the best targets for accurate and consistent shooting. With this package, you’ll get 100 officially-licensed targets that help you get the practice you need. Good targets, as advertised . Good targets, as advertised. Very happy with them. An effective gun owner not only has the right weapon and the right cartridges, they make sure to practice on a regular basis, ensuring better safety and proficiency with their self defense guns. When you head to the target range, make sure you are using quality targets like these cardboard silhouettes from Target Barn. 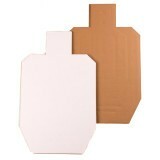 This pack gives you 100 silhouette targets for your training and practice. 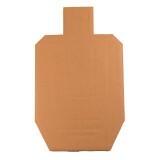 They use 1/8-inch corrugated cardboard and make an excellent training tool, no matter what your skill level. These targets are officially licensed by the International Defensive Pistol Association. Target Barn is a major manufacturer of many different targets. 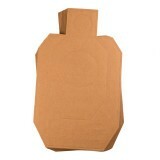 They create items for various types of training, and have targets made from cardboard, paper, steel, and more. They also have reloading supplies and target-shooting accessories. No matter what type of firearm you own, you can get the practice you need with Target Barn.